If you are in the market for a used vehicle, there are a few things you should know before you buy! For instance, did you know New Jersey prohibits “as-is” used vehicle sales? You can turn to a multitude of avenues when looking to purchase a used vehicle; franchised and independent dealers, rental car companies, leasing companies, used car superstores, and online resources. If you are purchasing from a dealer, keep in mind, the Federal Trade Commission’s (FTC) Used Car Rule requires dealers to display a “Buyers Guide” in every used car they offer for sale ad also provide it to buyers after the sale. If a dealer offers a vehicle “as is,” the box next to the “As Is – No Dealer Warranty” disclosure on the Buyers Guide must be checked. If the box is checked but the dealer promises to repair the vehicle or cancel the sale if you’re not satisfied, make sure the promise is written on the Buyers Guide. Otherwise, you may have a difficult time demanding the seller stay true to their word. If you are purchasing a used vehicle in New Jersey, “as-is” or “no dealer warranty” is not an option! 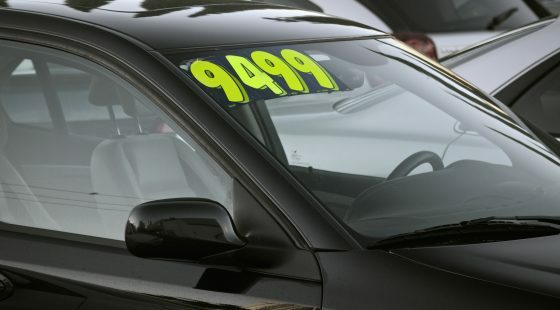 Some states don’t allow “as is” sales for many used vehicles and New Jersey is among them. If your used vehicle purchase is through an independent or private party, the FTC Used Car Rule does not apply. While private sellers are not generally covered by the Used Car Rule and are not required to use the Buyers Guide, you can use the Guide’s list of an automobile’s major systems as a shopping resource for valuable information. It is also important to ask the seller if you can have the vehicle inspected by a mechanic or if the vehicle is still covered under a manufacturer’s warranty or a separately purchased service contract. If the vehicle is still under a manufacturer’s warranty, ensure it is transferrable. Same goes with extended warranties that may have been purchased separately or service contracts. For a complete list of laws and tips surrounding the purchase of a used vehicle in New Jersey, visit the New Jersey Consumer Affairs website, Tips for Buying a Used Car. Secaucus Auto Body is a locally owned and operated auto collision repair shop providing dependable auto collision repair and paint service to customers throughout Secaucus, N.J. and the surrounding areas since 1990. If you are looking for quality collision repair service or have questions about our services, contact us today! We look forward to serving you.